A Different Kind of Silence. A week or so ago, I took a run up through Tweedsmuir with the express intent of immersing myself in some more IR shooting. The conditions for IR weren’t great, however, a few days ago, they were absolutely perfect – so I made another trip, early. 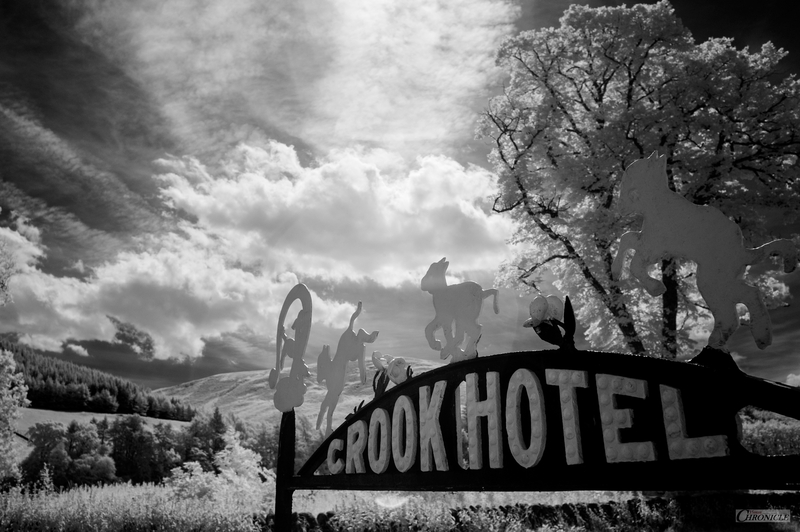 As well as re-shooting a number of places I had already visited, (and, because I had allowed myself much more time) I drove just a little further north and stopped here, at the Crook Inn. 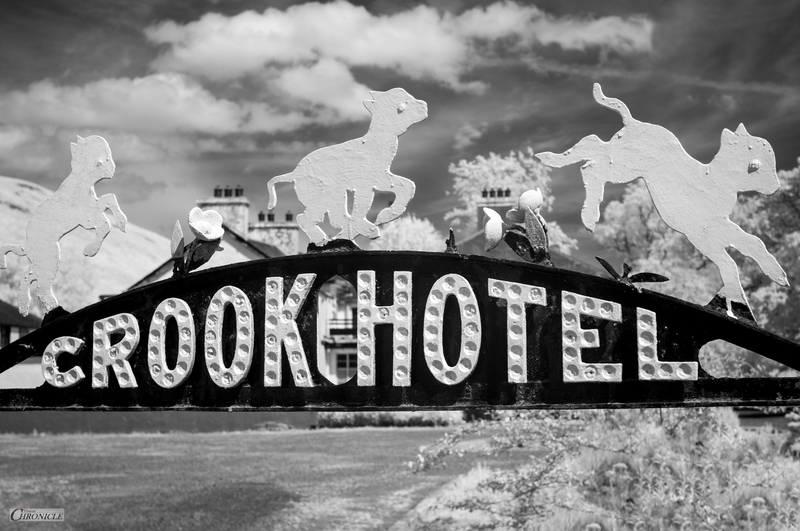 I have some fond memories of this place and stayed here for a couple of nights around twelve years ago, just to take in the atmosphere of the place. 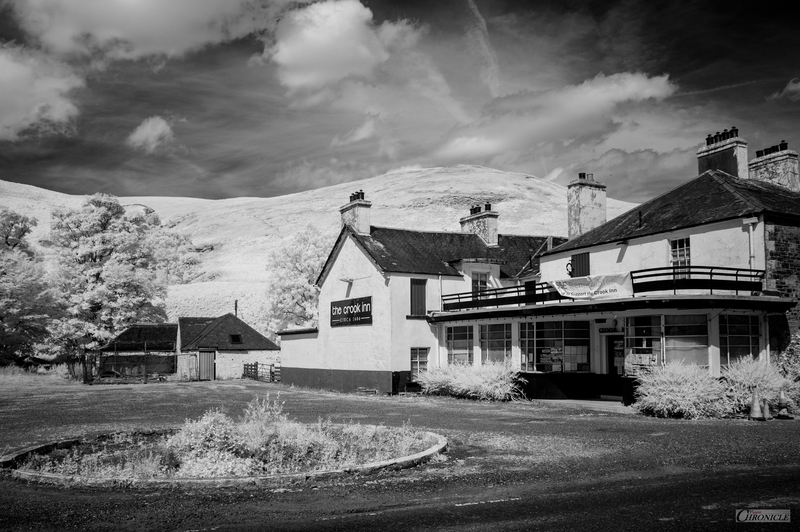 Though it is situated on the outskirts of a very small and quiet hamlet, it used to be a remarkable place to hang out. Especially in the winter when the wood-stove in the intimate, circular bar was roaring and, the beer was flowing. Aside from having an A-road right next to it, here, it’s about as beautifully rural as one could find anywhere. A great tinge of memory and sadness tainted my joy of walking around the old place again, as I made some photographs. 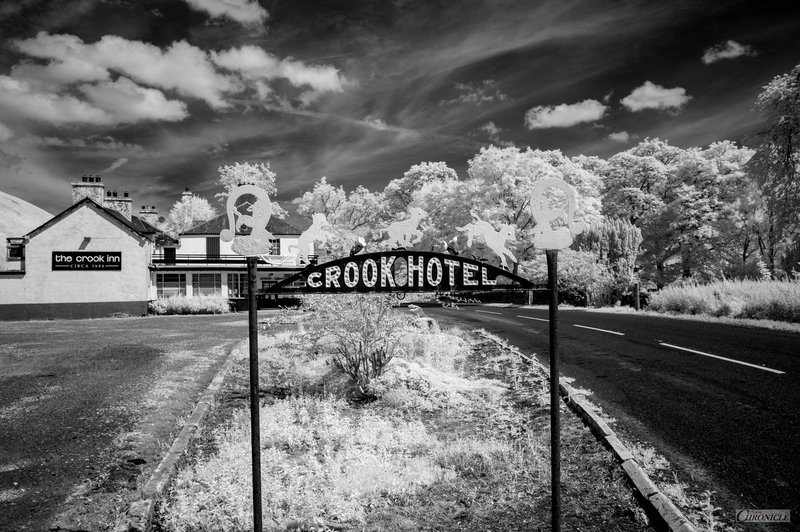 The Crook Inn has been closed for over ten years now but, the local community got together to raise funds in their efforts to buy the place, and collectively, refurbish and reinstate it. I gather though, that seeing as how I was there shooting its first fund-raising event back in 2007 or thereabouts, and that not much work (if any) seems to have been carried out since then, the community plan has sadly fallen by the wayside. I could be wrong, but the visual evidence doesn’t suggest any movement in a positive direction. Sadly, these lambs will also continue to remain silent. I | 28mm | 760nm Infrared. II | 50mm | 715nm Infrared. III | 28mm | 760nm Infrared. IV | 28mm | 760nm Infrared.